As a member of ABTA (Association of British Travel Agents) we have been given the information below to pass on to our clients should there be a 'no deal' situation by 12th April 2019. 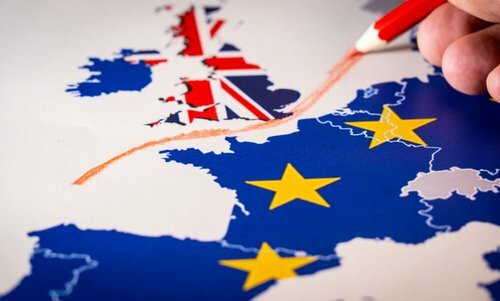 The UK Government has confirmed that the earliest the UK will leave the European Union (EU) is Friday 12th April 2019, instead of the originally planned date of Friday 29th March 2019. The UK will still be a Member of the EU up until at least 12th April, meaning everything will remain the same during this period; people can continue to travel as they do now and travel businesses will continue to operate within the remit of EU regulation and legislation. Many people are already booking their travel plans for 2019/2020, and have questions about what might happen after 12th April 2019 when the UK leaves the European Union (EU) if there is no deal made. While the political situation remains uncertain, ABTA has identified actions travellers may wish to take in advance to help avoid unnecessary future disruption. If a Brexit deal is agreed, the Prime Minister and European Council agreed last week that the UK won’t actually leave until 22nd May 2019, which is when the transition period (which keeps the status quo until December 2020) will commence. The information below only covers areas where people can take reasonable action or put plans into place now. Areas where the situation is still unclear are not included, but the information will be updated once clarified. Check the date your passport expires. When travelling to the EU after 12th April 2019, the UK government recommends that you have six months left on your passport on the date of your arrival to an EU country. You should also check when your passport was renewed. If you renewed a 10 year adult passport before it expired, extra months may have been added to your passport’s expiry date. These extra months over 10 years will not count towards the 6 months that must be remaining. The UK Government has published a website tool to check the validity of your passport under these rules. Full details on renewing your passport can be found at: https://www.gov.uk/renew-adult-passport/renew. As long as you have a full UK driving licence, you don’t currently need an additional licence to drive in the EU. This is likely to change in a no-deal scenario. UK travellers looking to drive in the EU on or after 29 March 2019 may need to apply for the relevant International Driving Permit. These cost £5.50 and are available directly from the AA, the RAC or the Post Office. The Government is working to extend the network of Post Offices where you can apply for an International Driving Permit, and has plans to roll these out in more branches across the UK from 1st February 2019. More information is available at: https://www.gov.uk/driving-abroad. Speak with your insurer for more information on obtaining a Green Card for any trip on or after 29 March 2019. In the event of a no-deal, pets would continue to be able to travel from the UK to the EU, but the requirements for documents and health checks would change. If you wish to take your pet to the EU on or after 12th April 2019 pet owners would need to discuss preparations for their pet’s travel with an Official Veterinarian at least four months in advance of the date they wish to travel. Pet owners should keep an eye out for any further instructions issued by the UK Government. More information is available at: https://www.gov.uk/guidance/pet-travel-to-europe-after-brexit.